Apologies for not posting updates sooner. 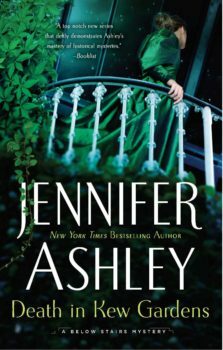 In October I had to switch to my Jennifer Ashley life, having books due to my publisher. Also I was working on getting some backlist books republished (the Immortals series). Now I have time to sit back and write, write, write. I still have books due to my publisher (I always do), but I can focus on new books again. I also recently (as in this week and last week) republished the entire Captain Lacey series to Apple and Kobo. These are no longer the Smashwords editions–these are published via my imprint (JA / AG Publishing). They have been reformatted as cleaner epub files. If you already have Apple and Kobo editions, you have absolutely no reason to re-buy them. Nothing has changed, except the formatting is a little prettier. The audiobook production has been delayed at bit–once the narrator is able to continue, those should move on toward production. Other than that, I’m writing Grosvenor Square, and will let you know when it’s done and when it should be out. I am an overly avid reader and have been since learning to read. 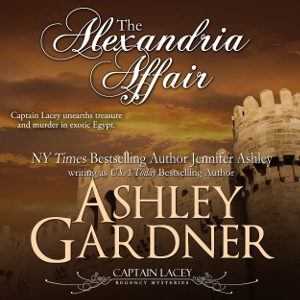 I love all of the books so far and eagerly await any more coming for the Captain Lacey series or under the Jennifer Ashley as author. I am going to recommend to my daughter also an overly avid reader -has her masters in Library Science. to try the books. You know I love the Cpt. Lacey series and I am anxiously waiting for the next one! Write, write, write!!! Captain Lacey is a fantastic series and impossible to put down. Thank you for writing them. I have just purchased #8. So anxious to read it. Just love your stories. Have read all of them twice, which is unusal for me Thanks so much for the great reads! I loved Disappearance in Drury Lane, just as much as all the others. I was worried about him getting married, I thought that might really change the series, but it didn’t, it was just as great a story as ever. Looking forward to Murder in Grosvenor Square! The only thing bad about a Captain Lacey book coming out is finishing it and waiting for the next!! Can’t wait for this one!! Thank you for writing his stories! Having read the “excerpt” of Mystery No.9 – am waiting for the rest! Thank you! Book 13 is in the works!